1. Bone broth – I’m huge fan of broths. 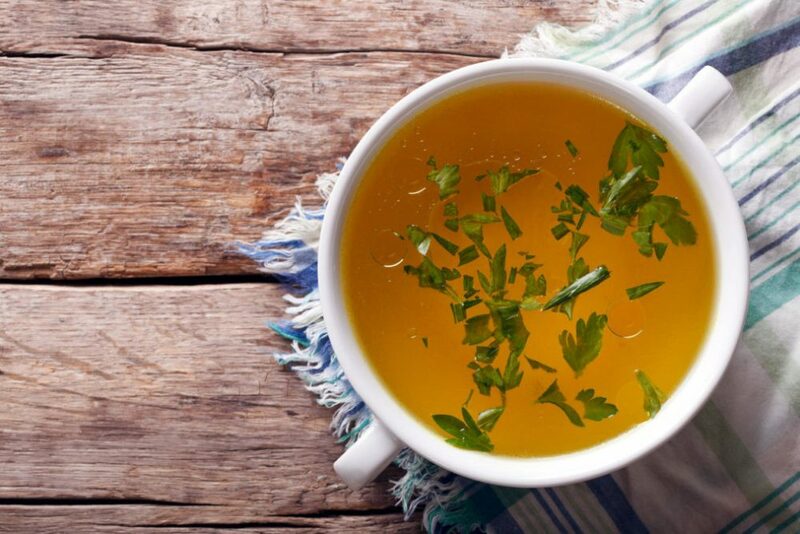 Broths made from meats provide a light boost of protein without making you feel heavy or super full. It’s light and flavorful, which makes it a perfect snack before bed. Drinking something nice and warm also feels soothing and comforting. To completing the meal and add nutrients, I like to add a handful of veggies. Frozen chopped spinach, kale, or collard greens is always good. Fresh leafy greens work well too. 2. 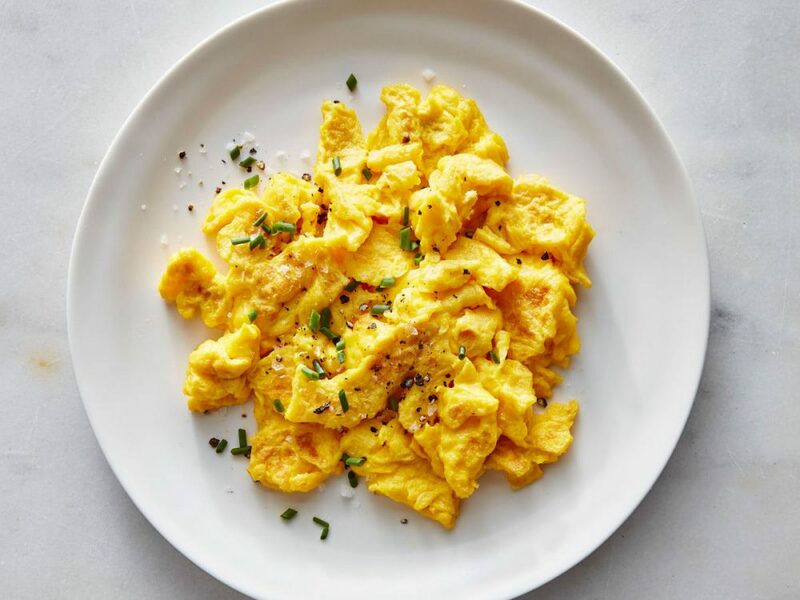 Scrambled Eggs – People always say they love breakfast for dinner. And well in this case, it can also make a quick healthy snack, as long as you’re not chowing down on bacon, pancakes, and biscuits. I like to scramble two eggs or have a carton of egg whites on hand. Drizzle some hot sauce on top and seasoned salt, you’re good to go! Eggs are a healthy protein that are quick and easy to make. 3. Turkey Cheese Lettuce Wraps – Think a breadless sandwich with mustard. 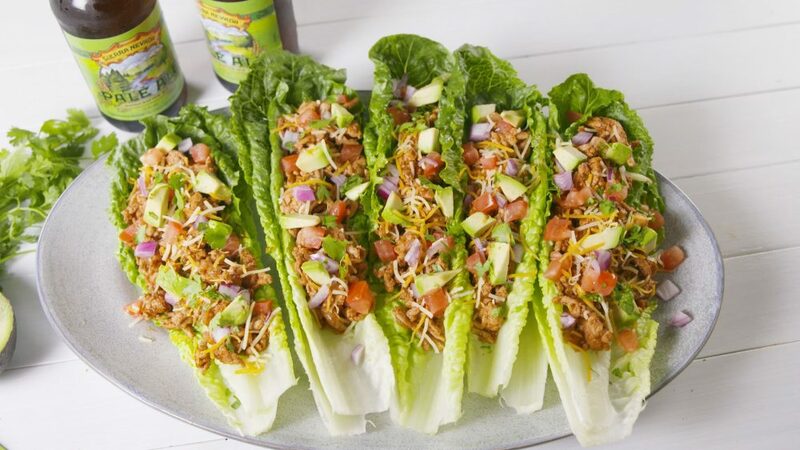 Peel a few iceberg lettuce cups off the head and fill it with turkey, a slice of cheese, and drizzle some mustard, a low calorie condiment that adds tons of flavor and enjoy! 4. 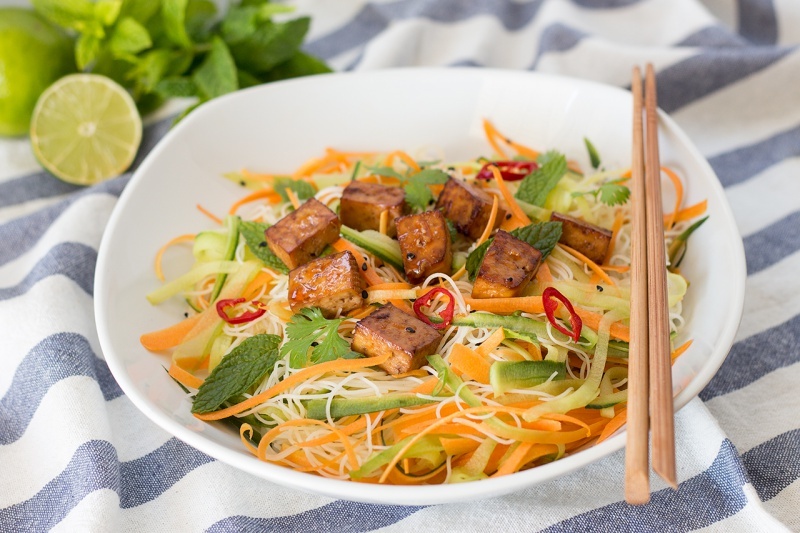 Cold Tofu Salad – This salad is probably the easiest salad to make. You don’t even have to toss it. Plate half of your silken tofu from the carton and place into a bowl. Drizzle ponzu or soy sauce, sesame oil, top with some pickled ginger, furikake and enjoy with a spoon! This snack is loaded with protein without the fat, and it tastes amazing. 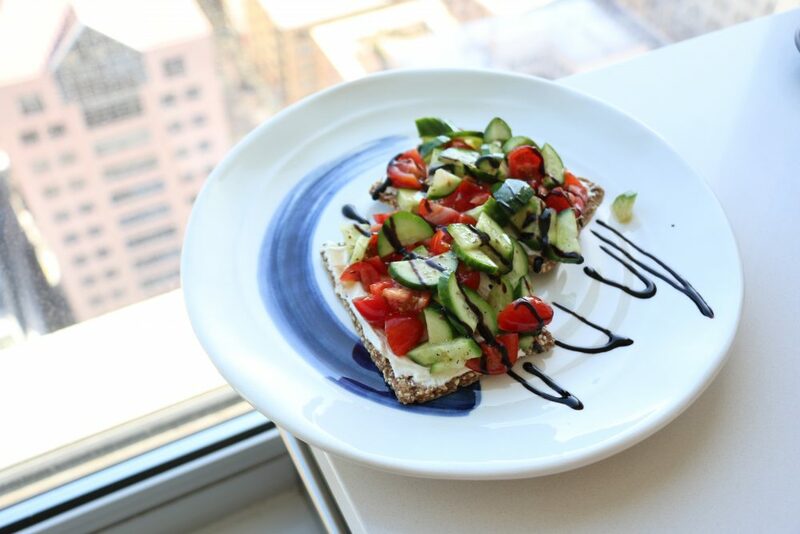 You’ll feel super satisfied after eating this snack. 5. 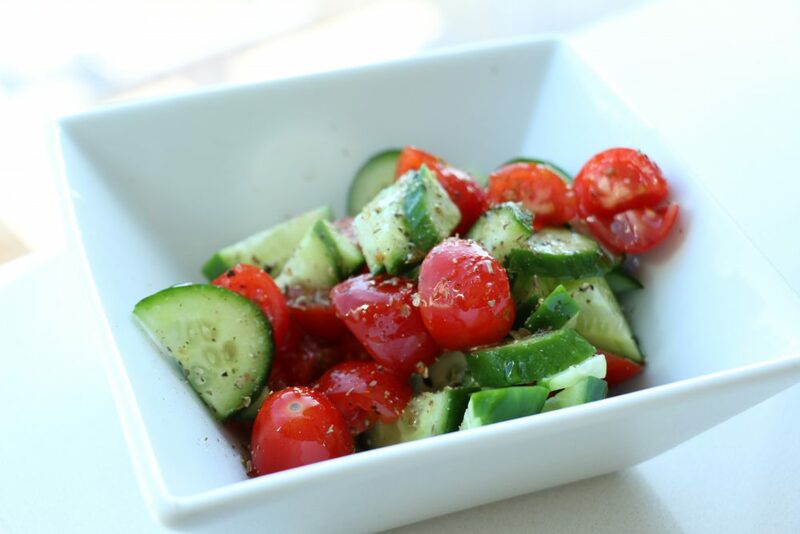 Tomato Cucumber Bites – Choose a slice of whole grain bread or a cracker. Toast the bread and if it’s a cracker serve it the way it is. Top it with some diced cucumbers and tomatoes. Drizzle olive oil, balsamic vinegar, and season with salt and pepper. For added boost of protein, do a spread of goat cheese or hummus. 6. Flat Bread – For those nights where you are really crazing something a bit more substantial, or even junk food, I have the perfect alternative for you. Low carb flat bread toasted with a thin layer of your favorite tomato sauce and a sprinkle of low moisture, low-fat mozzarella is a healthy light “pizza” snack. Sprinkle, chili flakes and oregano to kick up the flavor or top with some thinly sliced mushrooms to amp it up a little. 7. Yogurt – What happens when you have a sweet tooth and need a healthy snack before bed so you don’t hit the pillow tossing and turning, thinking about that cookie or ice cream bar you wish you could be eating. For these craving, have your favorite plain yogurt on hand. I like Siggi’s Icelandic Yogurt as it’s thicker and creamier than other brands. 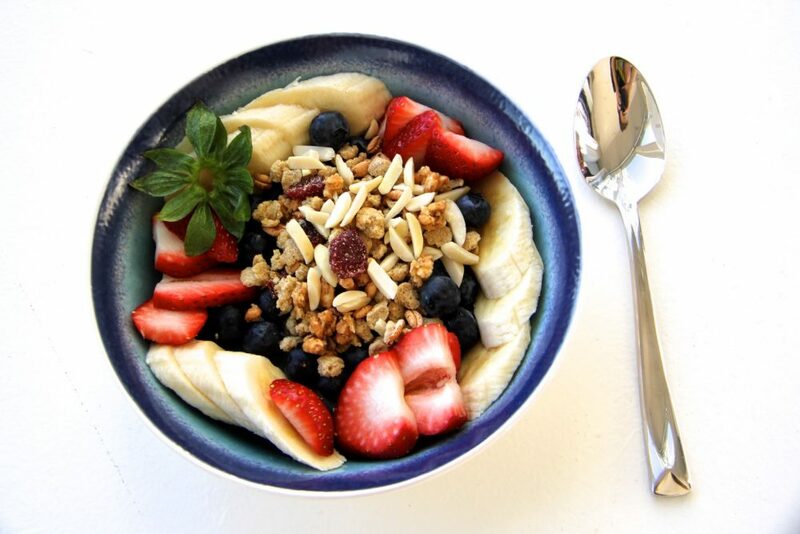 Top your yogurt with blueberries, strawberries, pineapple or apples and add a very light drizzle of agave or sprinkle some nuts and sugar free dark chocolate chips. Create a small parfait or “sundae” with various textures, so you feel like you are indulging. This will satisfy your late-night sweet tooth without the guilt.